Have the Beach to Yourself, Year-Round! 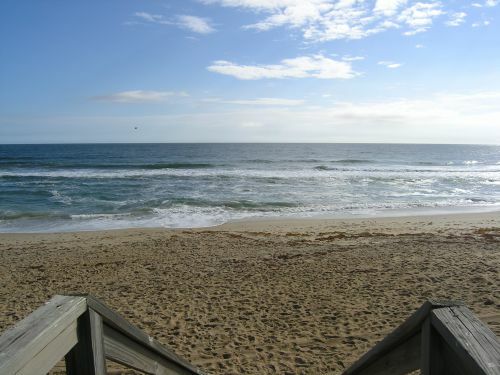 Sun Realty is known for managing the largest selection of Outer Banks vacation rentals. However, we also specialize in the management of year-round rental homes, townhomes, apartments, and commercial properties. 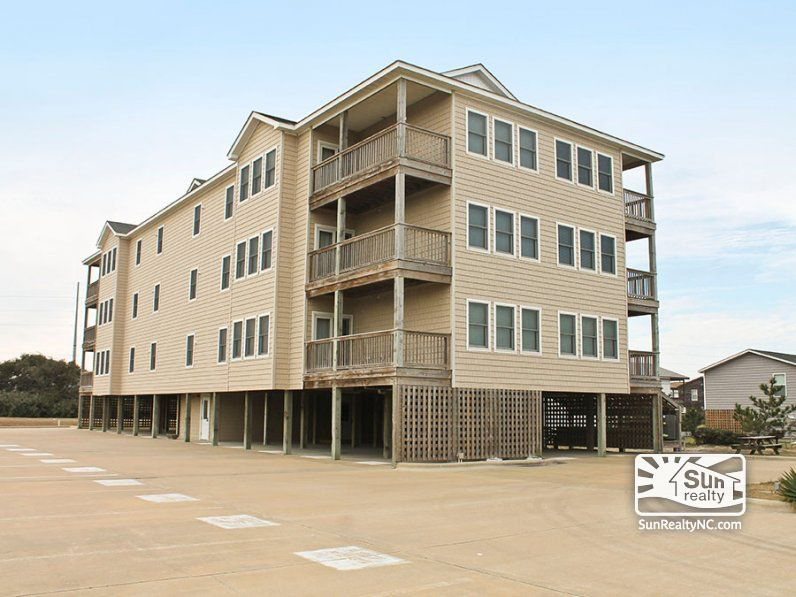 We are currently accepting rental applications for Outer Banks long-term rental properties and tenants. Please see our listings below and contact us to schedule a viewing or submit a rental application. Are you working for your home or is your home working for you? Is your home sitting for months without generating income? Longer term housing is in great demand, why not take advantage of this opportunity? As an owner of an Outer Banks property, place your home in Sun Realty's Long-Term Rental Program and generate income on your investment. 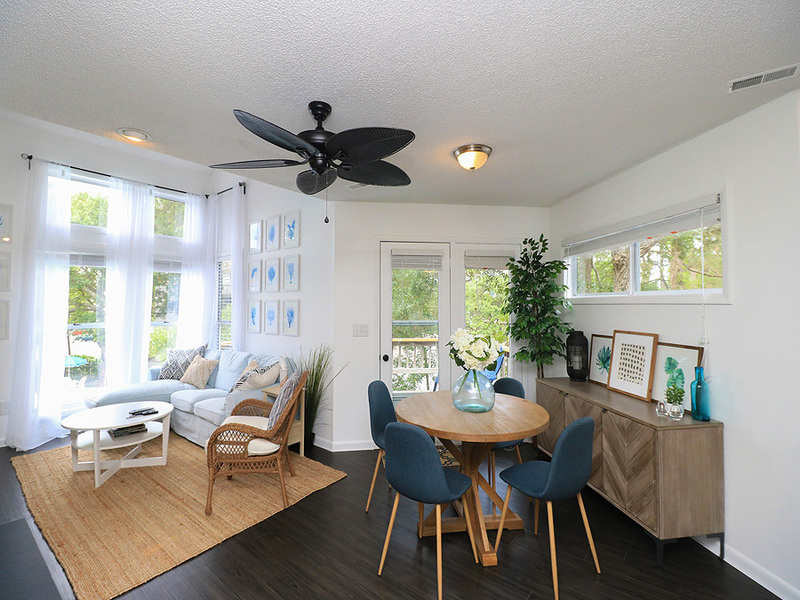 At Sun Realty, we can accomodate year-round income for you, or, if you would prefer to use your home from time to time, we can allow a 3-6 month rental to produce some return on your investment. We provide marketing, screening, accounting and maintenance services while your home is in our long-term program. If you are looking for a professional and respected long-term rental management company on the Outer Banks, please contact Belinda Fulton at (252) 441-5425. Renting a Long-Term Property from Sun Realty is as Simple as 1-2-3! Review our available long-term rentals. Call our office to schedule a viewing of rental properties that meet your needs and budget. Fill out a rental application and submit application fee. You must return your rental application to Sun Realty so credit and reference checks can be completed. For more information on Sun Realty's long-term rentals, contact Belinda Fulton at (252) 441-5425, Monday-Friday from 8:30-5:30. Fully Furnished 3 bedroom, 2 bath condo PET FRIENDLY and just one block from the ocean! Great location, close to everything you need. This is a 2nd floor unit and the complex does have elevators and access to a community pool when open. Features C/H&A, Range, Refrigerator, Dishwasher, Microwave and Washer & Dryer in the unit. Rent is $1500 per month including utilities (water, basic cable, wi-fi and power with a cap of $175/mo.) Security Deposit is $2250 and the Pet Fee is $200 that is non-refundable. Please click here for additional photos. Fully-furnished, 3 BR/1.5 BA house nestled in the trees within a quiet neighborhood that is close to shopping. Screened-in deck on the front and an enclosed hot/cold outside shower. CA/H, refrigerator, range, MW & W/D. $1,225/mo including utilities (with a $175 cap on power bill and a $300 cap on 3 month water bill). No smoking. Security deposit is $1,800. No pets. Fully Furnished 1 bedroom + Loft bedroom both with queen beds and PET FRIENDLY! Beautifully decorated in a nice quiet community tucked back in the trees yet close to everything you could possibly need. This is the perfect get-a-way with everything you need that home will be a distant memory. This is a 3rd floor unit with no elevators. Features C/H&A, Refrigerator, Range, Dishwasher, Microwave and Washer & Dryer. Rent is $1050 per month including utilities (water, basic cable, wi-fi and electricity with a $150 cap). Security Deposit is $1575 and the pet fee is $200 per pet. Please click here for additional photos. 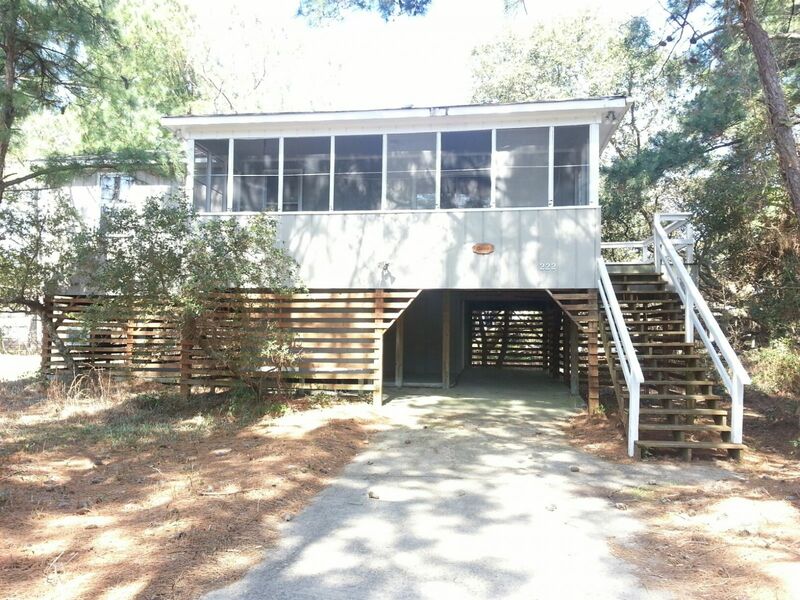 Spend the winter in style at Croatan Surf Club in KDH. 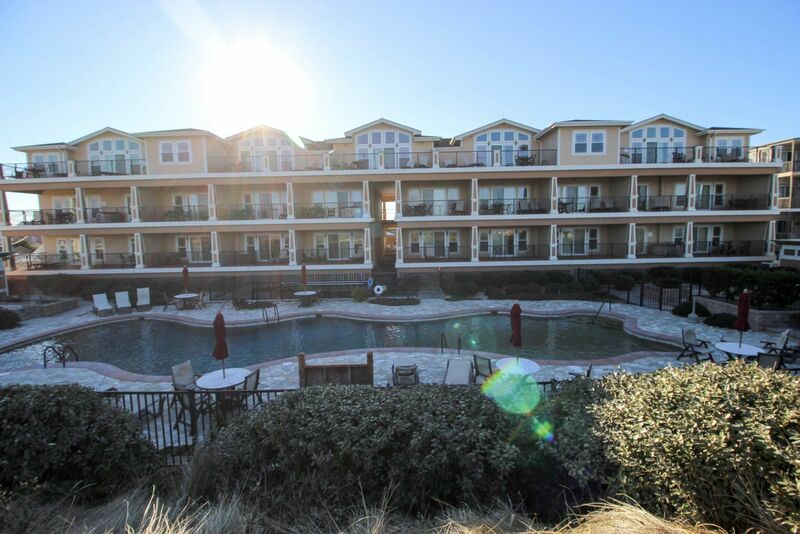 Fully-furnished 2 & 3 bedroom units on the ocean side with an indoor heated poll that is open year-round. Some units are also pet-friendly with a $200 non-refundable pet fee. Rents are $1500 to $2200 per month, depending on which unit you choose, with utilities included. No smoking. Additional photos available upon request. Call our office to make an appointment to view this home. 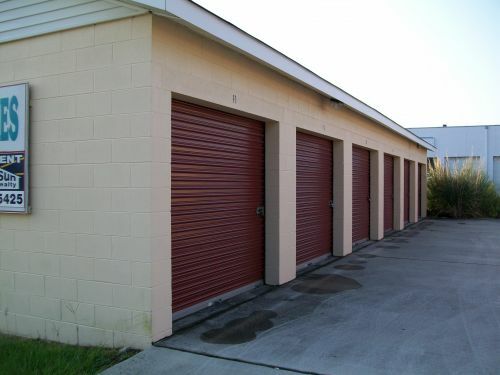 Sun Realty offers storage units starting at $80/mo. These units are not climate controlled but do have lights and electrical outlets. Application fee of $20.00 per occupant. All occupants 18 years of age or older must complete a rental application. All applications subject to satisfactory credit report/score and reference checks. A picture ID is required when a rental application is submitted. A picture ID and a $45.00 refundable deposit is required prior to receiving a key to view unoccupied properties. Most properties may be viewed Monday thru Friday from 9am until 3pm. Keys must be returned by 4pm in order to avoid forfeiting the $45.00 deposit. Appointments are needed to view occupied properties. Please call our office to schedule an appointment. NO PETS unless otherwise indicated in the property description. Exceptions will be made for companion/service animals permitted under Fair Housing laws. All rentals contain stoves and refrigerators and are unfurnished unless otherwise indicated. Waterbeds are not permitted. Utilities (including water) are extra unless otherwise noted. Sun Realty is not responsible for errors in descriptions. E-Checks are processed through VacationRentPayment, a secure 3rd party website approved by Sun Realty. Your personal and financial data is secured through a 256-bit AES encryption. All you need is your Routing Number (usually the first 9 numbers at the bottom left of your paper check) and your Account Number. Like a traditional check, E-Checks debit funds directly from Personal, Business, or Savings Accounts. Please note that we cannot process Credit Card Convenience Checks or Line of Credit Checks. Occasionally, guests with Money Market or Credit Union Checking Accounts have difficulty processing E-Checks. If this occurs, please contact your financial institution directly for ACH processing. Please note there is a $30,000 processing limit for E-Checks, and there is a $25 service fee for all returned checks. Click HERE to make a payment by Electronic Check through VacationRentPayment. We accept Personal Checks, Cashier's Checks, and Money Orders by mail Important: Please see Payment Timeline section below. Be sure to include your name, property address or storage unit number, and phone number along with your payment. Please note there is a $25 fee for all returned checks. We accept Visa, MasterCard, and Discover with no fee. Click HERE to make a payment by Credit Card through VacationRentPayment. Please contact Belinda Fulton at (252) 441-5425 with any additional questions regarding Sun Realty's Long-Term Rentals Program.